Charms are one of those jewelry styles that are always around. It’s just that sometimes they are more fashionable than others. Right now, the look is on fire. More about that in a later, first a little history of charms. 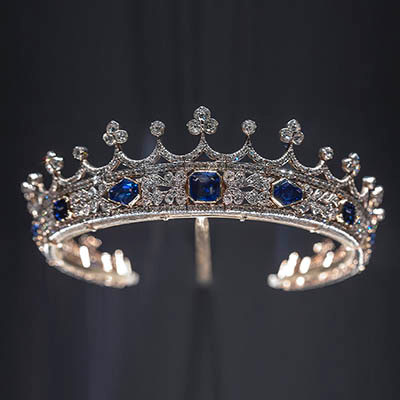 Queen Victoria of England, who ignited so many jewelry trends, made charm bracelets popular in the nineteenth century. 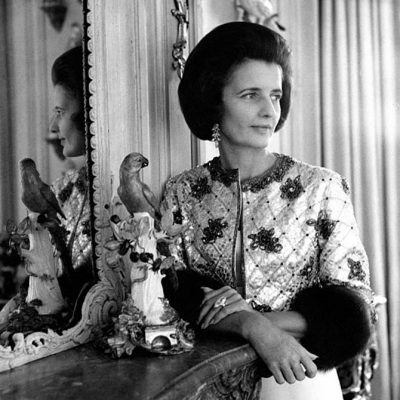 She had one that, according to the Royal Collection Trust, she wore “constantly.” Most of the gold charms on her bracelet were oval and heart shaped lockets with black enamel designs. 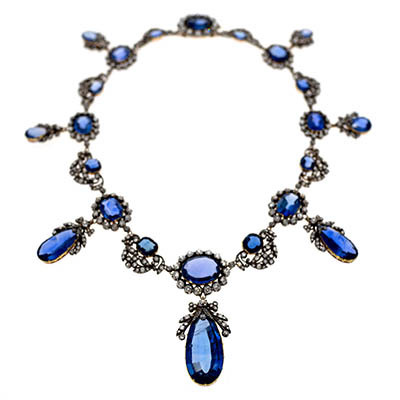 Flash forward to the 1920s and 1930s, delicate charms covered in diamonds and semiprecious stones were the mode. 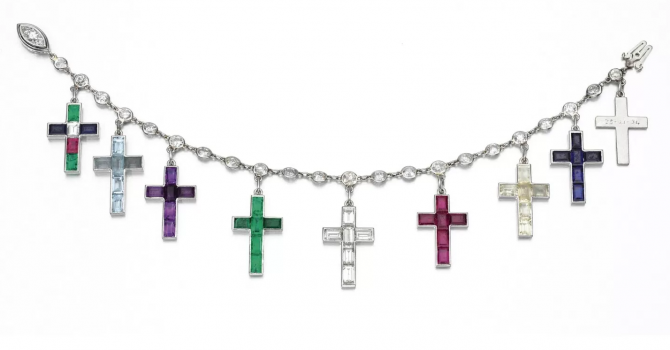 Cartier made a charm bracelet of gem-set Latin crosses for the Duchess of Windsor. Each charm was inscribed with a significant date or event of her life with the Duke. The golden era for charms began in the 1950s and kept going strong through the 1970s. Elizabeth Taylor had a couple of charm bracelets from the period. 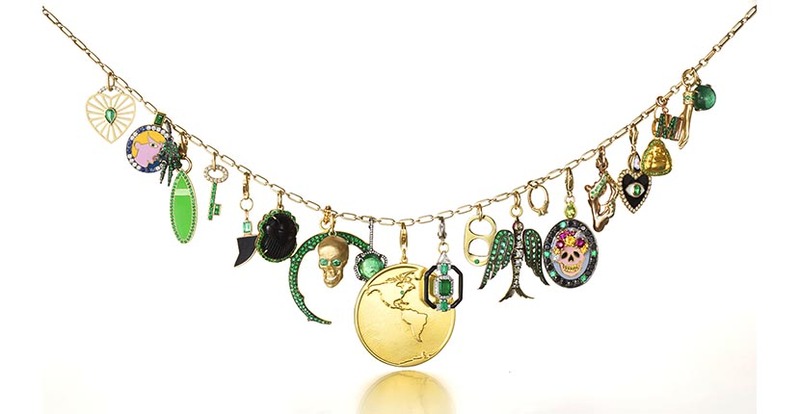 Her pieces featured classic charm themes: humor, travel, children, good luck signs, birthdays, anniversaries. 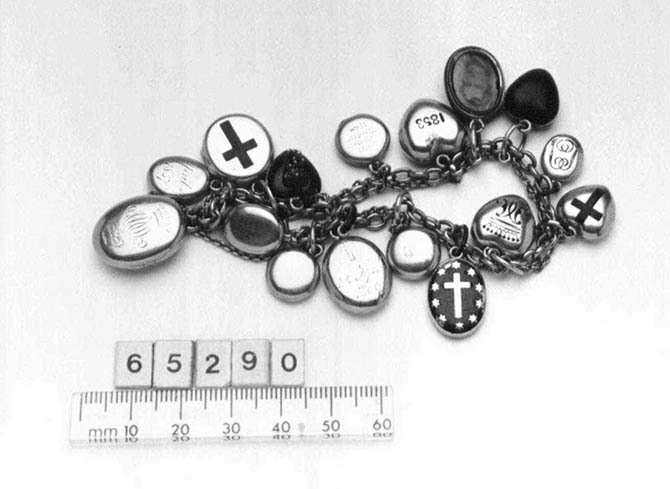 Like any great charm bracelet, the pieces were a personal scrapbook. 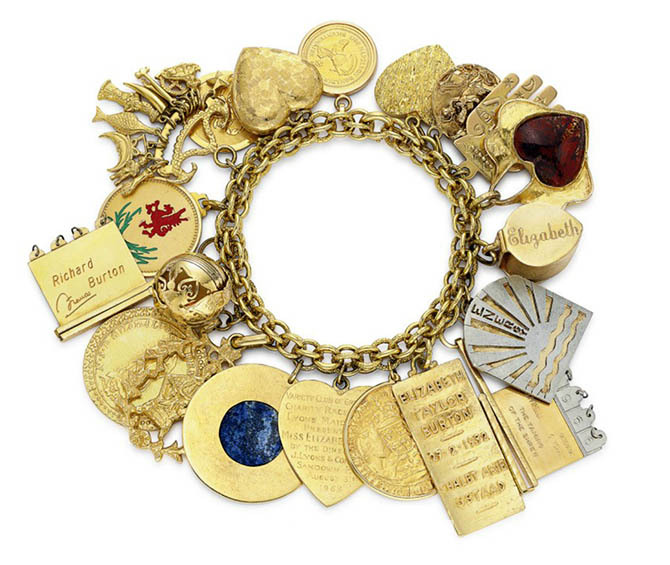 When they hit the auction block with her estate at Christie’s in 2011, one of her bracelets had a high estimate of $35,000. 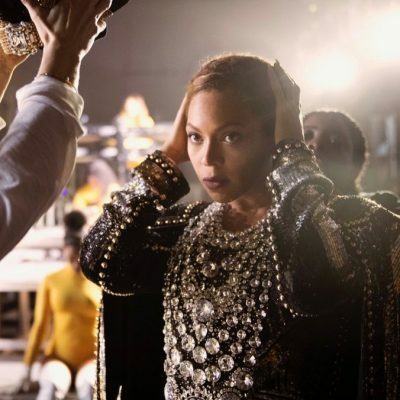 It sold for $326,500. So what’s inspiring the charm renaissance today? An interest in amulets, jewels and gems that promise some sort of protection, is at a peak of popularity. Charms also fits into the “new vintage” movement in fashion. Perhaps the biggest difference style-wise between the charm jewels of yesterday and today is that women are wearing their charms around their neck instead of around their wrist. 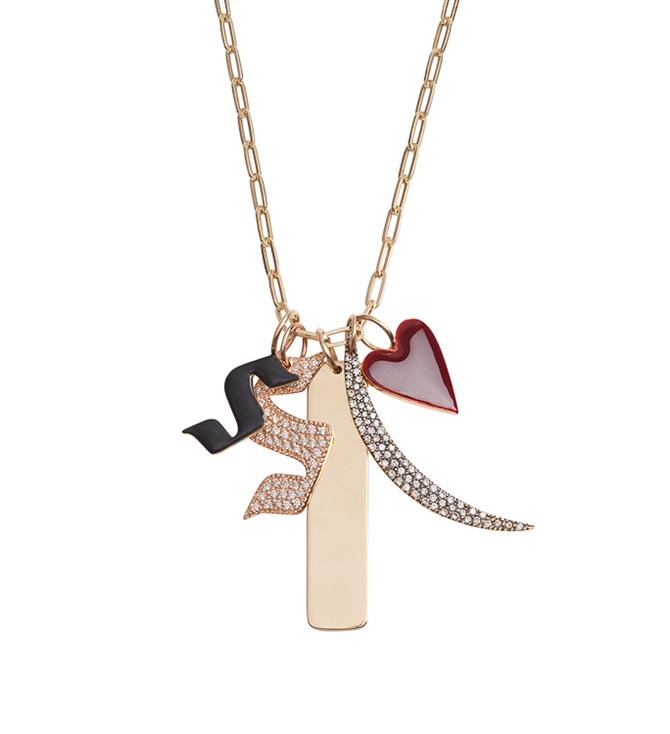 A charm necklace brings everything a woman loves quite literally close to her heart. A necklace is also far more practical than a charm bracelet that could seriously interfere with the all-day typing away on computers and phones. 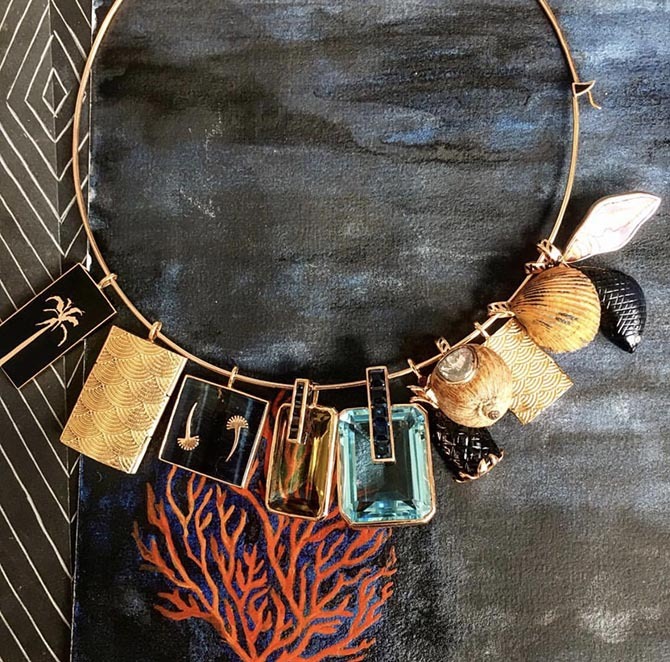 Following are some of the most dynamic charm necklaces around right now. Somehow, I feel if Queen Victoria were alive today, she would be loving these looks. No question Elizabeth Taylor would have a few charm necklaces in her jewelry box. Dezo by Sara Beltran includes several charms that are a perfect reflection of the overall beachy aesthetic of the collection. There are shark’s teeth and shells carved from gems. Sara put several charms together on a neck wire with some breathtaking stones to make a statement charm choker. 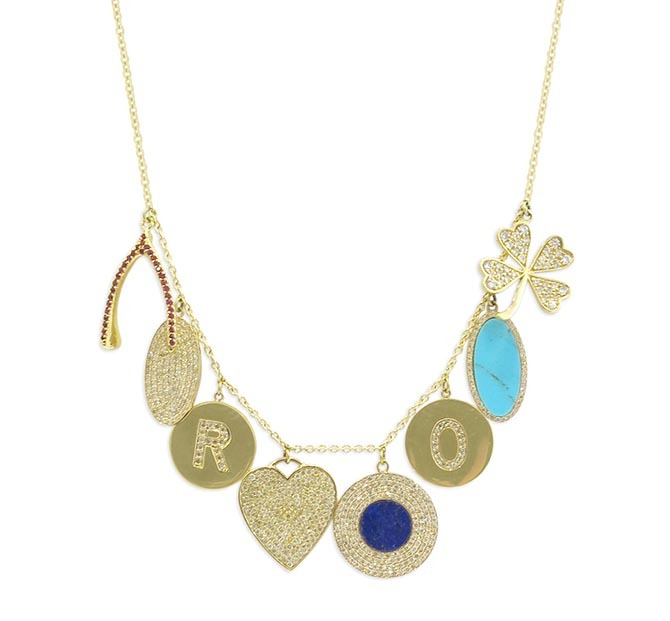 Jennifer Meyer’s collection has always been filled with classic good luck motifs including four leaf clovers and wishbones. She put them several in one sensational charm necklace. 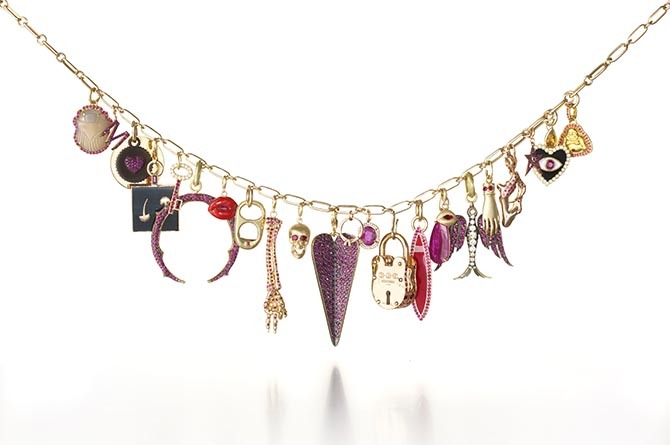 Alison Lou’s collection has dozens of pendants that could be added to a charm necklace. 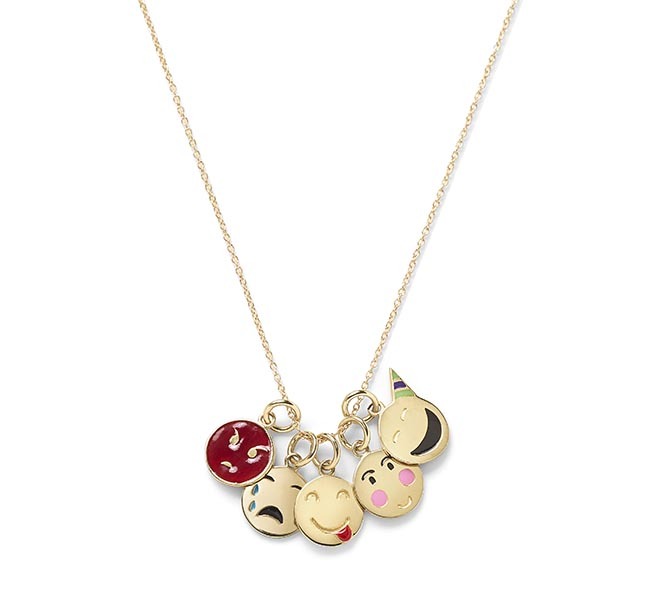 In one jewel, she has assembled five emoji face pendants—Angry, Cry Baby, Tongue Out, Bashful and Party Animal—covering a full range of emotions.